Caspar David Friedrich – Kunst Museum Winterthur. Title: City at Moonrise. Date: c. 1817. Materials: oil on canvas. Dimensions: 45 x 33 cm. 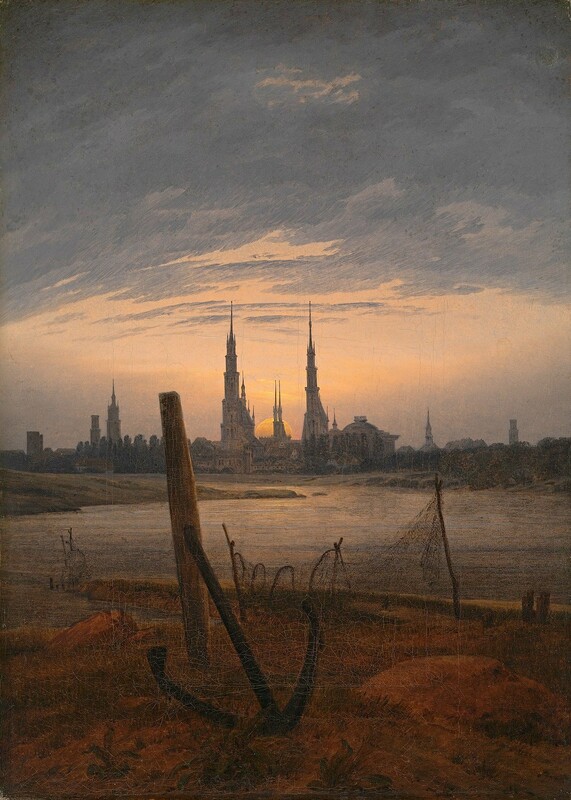 Source: https://commons.wikimedia.org/wiki/File:Caspar_David_Friedrich_-_Stadt_bei_Mondaufgang_(ca.1817).jpg. I have changed the light and contrast of the original photo.